Guaranteed Fastest, Most Convenient Way To Sell Your Car, Truck, Van or SUV in Las Vegas At The Highest Price Paid For or Not, Running or Not! All This and Free Towing! Sell your car to us and get fast cash for your used vehicle NOW! Less stress and no hassles. Call 702-850-2664 and get your free car cash quote now. We pay highest price for cars, trucks or SUVs from economy to luxury cars, performance, sports, classic cars and even junk or wrecked cars. At Cash For Cars Las Vegas, we make it easy, safe and fast. We take the stress and hassle out of selling your used car privately. No title? Late registration? No problem! We professionally process all necessary DMV paperwork for you. "My wife and I tried sell our truck on Craigslist.org and every flake on the planet called me and gave a low-ball offer. When John from Cash For Cars in Las Vegas showed up, he paid top dollar and even gave me a ride to the bank!" " Cash For Cars In Las Vegas paid me $300.00 more than CarMax and I had my cash in less than 20 minutes just like they said. Good folks here in Vegas for sure. " 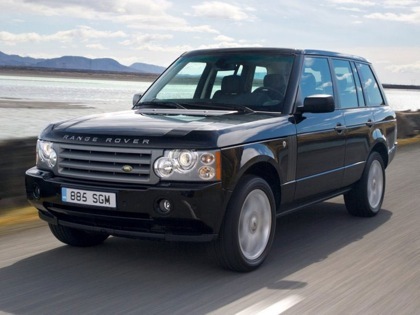 Here at CashforCarsinLasVegas.com, we pay the highest price for late model cars like this Range Rover and Jeep Grand Cherokee, GMC Denali, Ford Explorer, Cadillac Escalade, Toyota Sequoia, 4Runner or Highlander, Lexus RX350 and three row SUVs like the Lexus RX450h paid for or not. Call us first 702-850-2664 and get more cash than dealer trade-in or lease return. Cashforcarsinlasvegas.com buys nice cars, junk cars, salvage, cars for scrap, wrecked, smashed, clunkers, junkers, cars for recycle, damaged, broken, junk trucks, vans, SUV’s, old cars, recycling cars, and all cars for parts. If you're wondering "what is my car worth? ", call us 702-850-2664 first. We come to you and pay highest price for your used car. We buy all kinds of cars, from Honda to Cadillac, vintage and classic cars, from economy cars to high end luxury, sports, and performance cars. We'll even buy junk or wrecked cars, running or not, paid for or not (on a case by case basis). 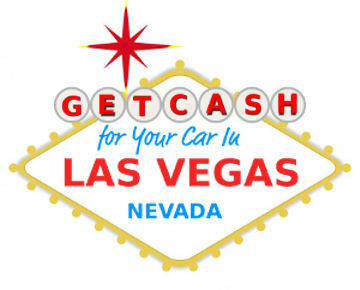 At CashforCarsinLasVegas.com we are part of a nationwide dealer network and we have to satisfy the needs of thousands of car buyers not just here in the USA but all over the world! That means we are on the lookout for just about every kind of car, truck or SUV! No title? Overdue registration? No smog cert? Parking tickets? No problem! Still owe money on the car? We'll pay it off and pay you the balance. We also do lease buybacks. In other words, we will bend over backwards to make you the best offer for your used car, truck or SUV and pay you right on the spot. We're good at that - bending over backwards. We've been doing that for over 30 years! Keep that in mind when you're want the most cash for your used car. 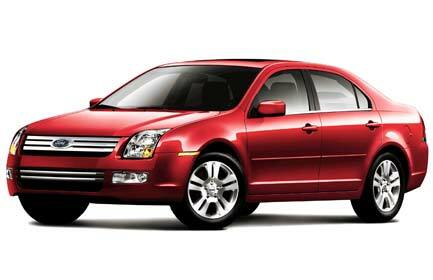 Here at CashforCarsinLasVegas.com, we pay the highest price for late model cars like this Ford Fusion or Toyota Camry, Chevrolet Malibu, Honda Accord, Hyundai Sonata, Nissan Altima, and other midsize family sedans paid for or not. If you need cash NOW, simply call 702-850-2664 and get the highest price for your Sports, Performance and Luxury car, truck or SUV. 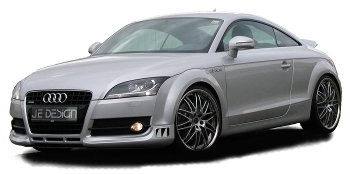 Get cash for Porsche, Ferrari, Lamborghini, Corvette Jaguar, BMW, Maserati, Lotus, Alfa Romeo, Audi, Fiat, Volvo, Saab and Japanese sports cars like Honda NSX, Nissan 350 Z, Skyline GT, Toyota Supra, Celica and GT. Avoid the hassle of driving all over town trying to get your best offer from a dealer. Not only save time but also lot of cash you would otherwise spend on gasoline and meals on the road. A buck here, a dollar there and pretty soon you're talking real money! 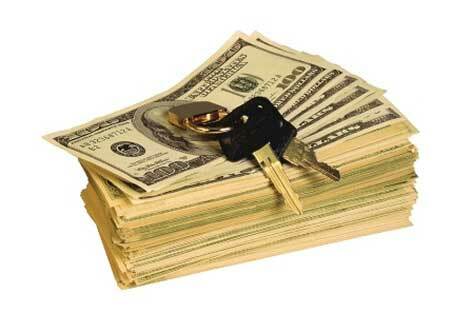 In the real world, saving money is like making money so call us NOW to get the most cash for your used car! Sell your car to us and not only get fast cash, but you also avoid the risks of selling your high end luxury car privately, like a big money deal with a total stranger or check hassles, like bank holds and possible check fraud, not to mention a myriad of other problems with less than scrupulous buyers coming to your home or place of business. Cash For Cars Las Vegas buys Sports, Performance and Luxury cars, trucks and SUVs. Maybe you just inhertited an estate and need to sell the cars, but not sure what they are worth? We can definitely help there. Not only can we get you a free, fair and accurate appraisal, we also professionally handle all DMV paperwork for you, even if you can't find the title. We have ready cash for all cars! We have been buying all kinds of vehicles for over 30 years, from Hondas to Mercedes Benz and everything in between. That's because we have ready buyers interested in your car, and they know that we are licensed, bonded, and we ship worldwide. We buy Luxury Sports and Performance cars from all over Clark County including Las Vegas, Summerlin, Hendersen, Paradise, Spring Valley, Whitney, Blue Diamond and surrounding areas so, why wait? Call us now and get fast cash for your car today. 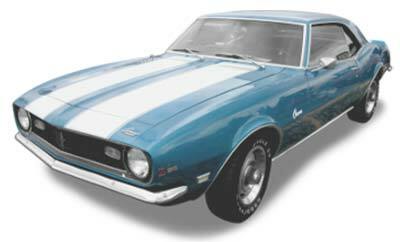 At Cash for Cars Las Vegas, we pay cash for older American muscle and pony cars like this Chevrolet Camaro, Pontiac Firebird, Ford Mustang, Plymouth Barracuda, Dodge Challenger and Dart. We pay the highest price for mid size big block cars like Plymouth Road Runner and GTX, Dodge Charger or Super Bee, Olds 442, Pontiac GTO, Buick Skylark, GNX Grand National Turbo, American Motors AMX and Javelin. When you're thinking "It's time to sell my classic car", call us and get the best price for your classic, vintage, sports or American Muscle car or truck. Sell your special car to us and not only get fast cash, but you also avoid the hassles of selling your classic car privately, having to do a large cash transaction with a stranger or risk taking a check, bank holds, possible check fraud, and other problems with less than scrupulous buyers. Cash For Cars Las Vegas buys vintage cars, trucks and other vehicles of interest, like that unfinished project car or the old heap thats taking up space in your yard or garage. Maybe you just inhertited an estate and need to sell the cars? We can definitely help there. We professionally handle all DMV paperwork for you, even if you can't find the title. We have ready cash for all cars, from 100 point show cars to "barn finds" and everything in between! For over 30 years, we have been buying all kinds of vehicles from American hot rods to British sports cars like Austin Healy, Triumph, Jaguar and MG. That's because we have ready buyers interested in your old, worn out, classic, antique, sports or muscle car, and they know that we are licensed, bonded and we ship worldwide. We buy classic cars from all over Clark County including Las Vegas, Summerlin, Hendersen, Paradise, Spring Valley, Whitney, Blue Diamond and surrounding areas so, Why wait? Call us now and get fast cash for your classic car today. Get More Cash For Your Car! We Pay highest price for your used truck, van or SUV like this 2005 Ford F150 pickup, Toyota Tacoma, Tundra, T100, Land Cruiser, FJ, Nissan Frontier, Chevy Silverado C10 C20, GMC Sierra 1500, 2500, Dodge RAM, Dakota, Range Rover, Mercedes GL and ML. Sell your truck, Van or SUV for fast cash today. We pay cash for trucks like the Ford F150, Super Duty F250, Toyota Tundra and Tacoma, Chevrolet Silverado, GMC Sierra, Dodge Ram, old or new, (even IH!) large or compact, running or not. Sell your Range Rover, Ford Explorer, GMC Denali, Mercedes ML, Westfalia, Jeep Rubicon, Grand Cherokee, Toyota 4Runner or other Sport Utility Vehicle and get paid on the spot! We buy vans and work trucks also. We Pay More Than Carmax! Every Cash for Cars website claims to pay the highest price for your used car. The car buyers at cashforcarsinlasvegas.com will beat any legitmate written quote. You can shop around and call us last or you can save a lot of time and call us NOW 702-850-2664 and get your free, no obligation quote for your used car. Find out how to sell my car for highest price! Why Sell My Car To Cash For Cars Las Vegas? Not Running? We Tow Free! We will cash you out today! "I was told by a dealer my car was not worth what I owed. I Googled 'we buy cars in Nevada' and found these guys. Got my car paid off plus $500.00 in my pocket!" Joe Hartinger - 2012 Nissan Xterra - North Las Vegas, Nevada..